Check out your favorites today. Some of the greatest German films of all time, with a tremendous selection from Kanopy. Kanopy documentaries featuring past and present cast members of Saturday Night Live. Documentaries that offer a historical perspective, available to stream on Kanopy. Watch Ken Burns' PBS series The Vietnam War on Kanopy. 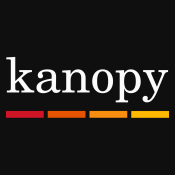 Streaming indie films, documentaries, classic films and more from Kanopy.